The first prehistoric finds on the islands date back to the Bronze Age and affirm the presence of the Greek people on the island. Diomede, king of Argos arrival in Tremiti hijacked by a strong storm and the name is “insulae diomedee.” More than 2000 years later, a friar Lateran meeting his tomb on the island of St. Nicholas, with the gold and stick Evident greco.Con command of the arrival of Romany islands and took the name changed to “Shivers” (Trametius), for “through” between italy el’illiria. Afterwards many people followed the islands, pirates Slav, pirates Dalmatian, until the arrival of various orders of monks and the construction of Beloeil San Nicola.Le Tremiti were also a land of deportation in different eras, by Roman fascismo.Alla until the end of the regime, with the return to democracy, there has been an alternating series of mayors who carry out democratic discourse. Thousands of years of history enclose in this small archipelago, and it is all right there, for everyone: a large open-air museum. 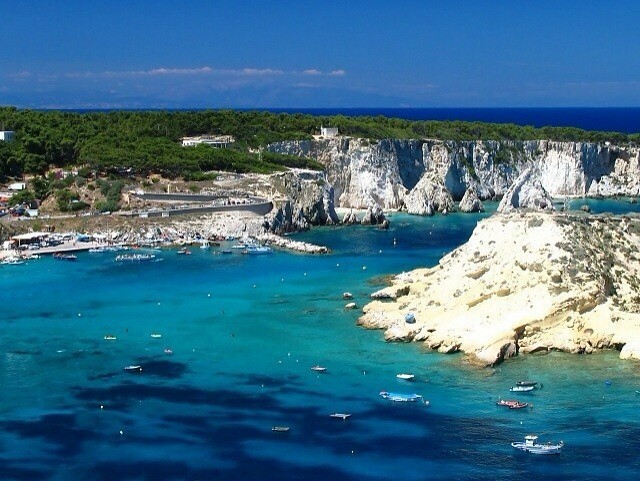 The islands that form the Tremiti Islands are: San Domino, San Nicola, Caprara. 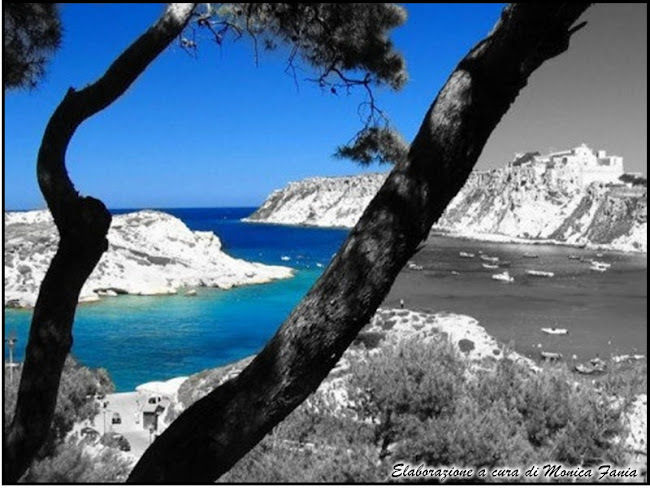 Tremiti Islands, a wonderful paradise: someone say they are a mixture of mythical beauties. Tremiti Islands are called also Diomedee Islands, because this hero berthed there after the war of Troy. 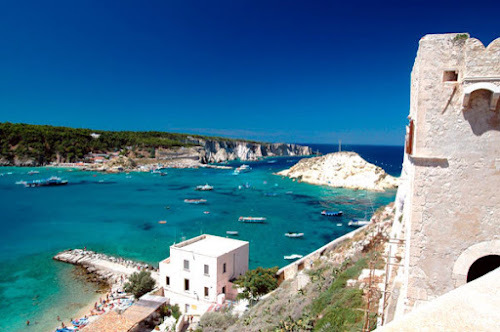 Tremiti Islands are 135 Km far from Foggia and 87 Km from Manfredonia. An impressive nature with its beaches, gardens, orange groves and prehistoric graves will struck you. The sea has created unusual caves such as Grotta delle Viole, Grotta delle Murene. Under water you may see many beauties and even a statue of San Padre Pio between San Nicola Island and San Domino Island. The monastery in the Island of San Nicola was founded in the 8th century and belongs to the Benedettinimonks of Monte Cassino abbey. 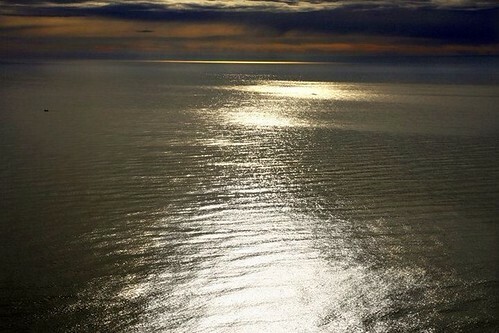 San Domino, the largest island, takes its name from an old little church, now disappeared, that once was there. For its beauty this church was named “Orto del Paradiso” (Garden of Heaven). Un contaminate nature, crystal clear water, the fascinating history, all this makes the Tremiti Islands a tourist stop over point which no lover of the sea should miss out on.